In with the new Black Country Vinici: Now on Order! After three reflockings, my Beloved County Perfection still does not fit Riley. I put it on Ebay, thinking it would take a long time to sell a brown saddle. I had two offers in a few days, and truly I was not ready to sell--so I put the offers on hold and raised the price $500 -- that's $500 more than I paid for it. A few days later I got an offer. I took it. This has NEVER happened to me. My last two saddles were sent to a consignment shop, and they were for sale for almost a year before they were sold. I had literally forgotten I owned my Eden when it finally sold. I think brown saddles are making a comeback and I just did not price it right initially. 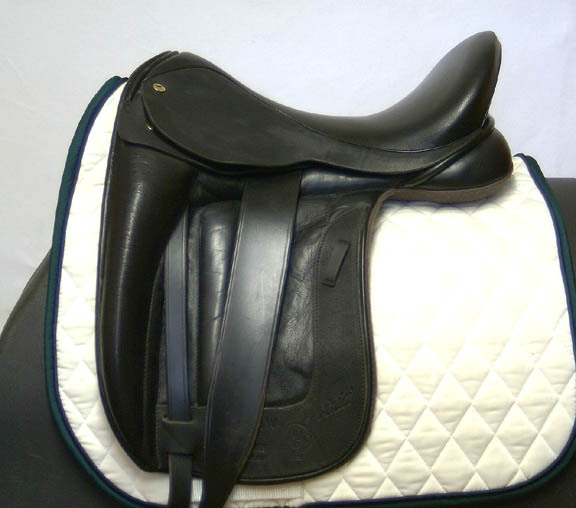 Well, I'm sad to lose my saddle, but I will only need to add a few hundred dollars from savings to get my new saddle. The BC Vinici has a wider "warmblood-friendly" tree, serge panels, and a monoflap. I thought long and hard about getting a brown saddle, but Trumbull Mountain's awesome "trial" policy for its saddles does not apply to custom orders. I needed to be practical. Boo. Oh well, Whatever the color, I'm psyched about this saddle! Looking good. The mono flap is really interesting. I will be curious to hear more once the saddle comes in. EBay sales can be amazingly quick. I sold one item about 5 minutes after it posted at my "Buy it Now" price. It was exactly what the buyer was looking for and she simply could not wait. Glad you made out well with your saddle sale too. Hmmmm...if the boarder who is trialing my Kieffer does not take it, on to Ebay it goes! Riva and I are loving our new County. So sad you have to part ways with yours. The Black Country looks so comfortable, though! Sounds like everything is falling into place, saddle-wise. Hope the BC works; I love mine. Gotta ask, though (completely out of curiosity); why didn't you go bra - I mean, treeless? 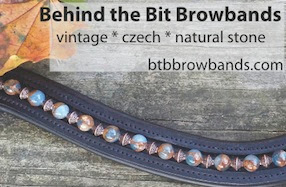 When I was saddle shopping, I read about the BC Vicini. There is a lot to like about that saddle. Good luck! I have a BC Tex Eventer that I love for jumping. I hope you love your dressage one as much as I love mine! I'm glad the ladies at Trumbull could help you. I hope the saddle works out.